Most anyone who has ever seen a box turtle remembers the experience fondly. They are endearing, intelligent, and long-lived. When we set up our box turtle pen at wildlife events, children make a beaten path around it in their excitement to see and touch them. 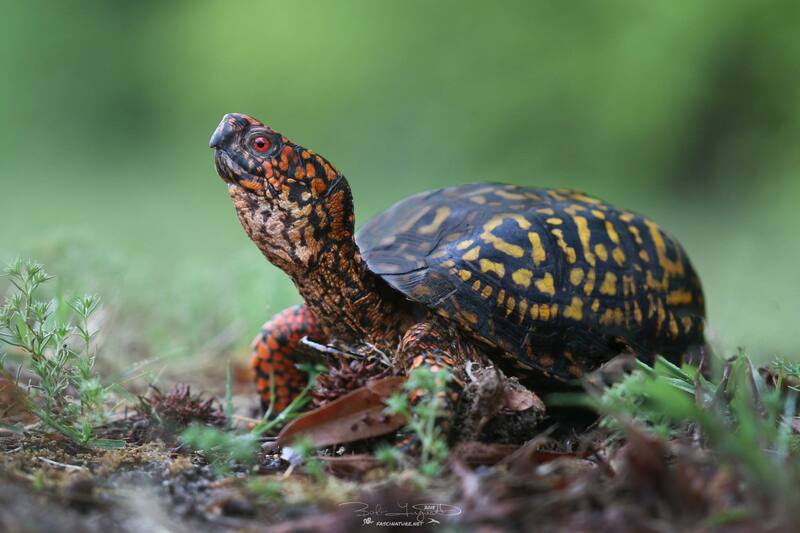 Many would agree that the world would be a poorer place if box turtles were no longer in it, but that is a real risk if we allow their populations to keep declining at the current rate. “Boxies” are unique animals with loads of charm. Potentially reaching ages of over 100 years, they are a semi-aquatic species, capable of swimming, but preferring to spend most of their time in mesic forests and grasslands. Their name derives from their hinged plastron (underside), which enables them to shut themselves up completely against predators. Most wild individuals have numerous battle scars that tell the tale of this successful adaptation. They are true omnivores. When you are only a hand’s breadth tall, it is a handy trait to make use of any available foodstuffs found in that narrow plane. The unique shape of their domed shell lends a remarkable strength that allows them to remain unscathed even if stepped on by our largest land mammals. Alas, as varied as their remarkable adaptations are, they are of little use against the onslaught of human expansion. Their habitat is almost universally fragmented, and their natural response of closing themselves up makes them sitting ducks to passing motorists when crossing roads. Their strong dome shape is no match for car tires. People tend to collect them as pets; in fact, commercial collection for the pet trade has wreaked havoc on their populations in some areas. Unfortunately, it is not the norm for people to account for their varied diets or longevity in captivity, so a slow decline is the norm for these wild-caught pets. Another tragic aspect of their interactions with humans results from their high site fidelity (attachment to their home range). Caring but misguided individuals will often relocate them when they are discovered in yards or on roads, but studies have shown that mortality for translocated individuals is exceptionally high. Another important aspect of box turtle biology is their low replacement rate. In the wilderness, it can often take a turtle’s entire lifetime to leave behind enough offspring to hold their numbers steady. This means that each casualty or collected animal may mean not just the loss of that individual but also the loss of their number in that population for the future. When combined with other results of human activity—invasive fire ants, pollution, habitat loss, etc.—it is easy to see why in just our lifetime we have seen a drastic reduction in their numbers. More so than with many other animals, it is crucial that we preserve their habitat now, and leave them in it when we see them there. If you encounter one in the wild—take a picture if you like, but never take the turtle. Each of us can also be attentive as we drive, especially in the spring and summer in rural areas. If you help one across the road, leave it nearby and not some other place you think is “better.” You can also educate others about their plight. “Boxies” need as many people on their side as possible! 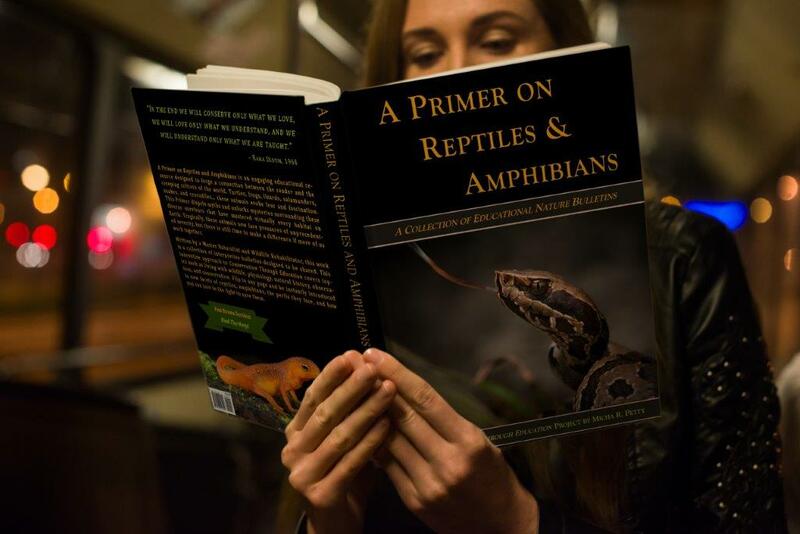 Effectively rebounding from population decline is not one of their many remarkable traits, but with more people practicing Conservation Through Education there is still hope for these wonderful little animals. 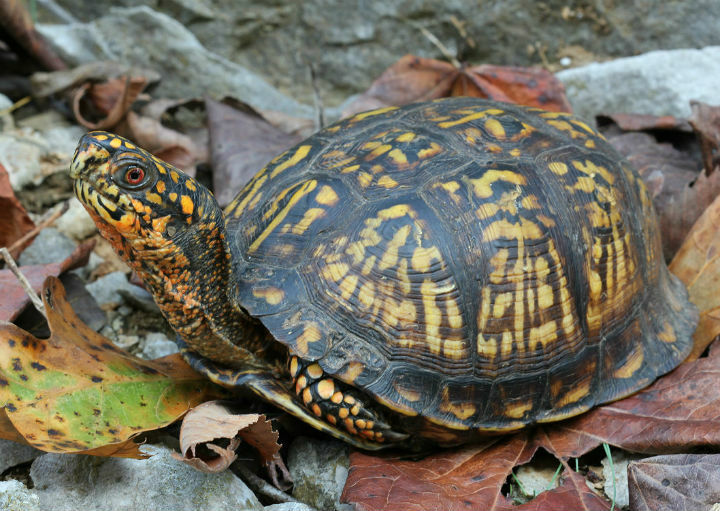 If ever there was a reptile that needs and deserves our help, box turtles would surely make that list. Take the time to educate yourself about their unique qualities and consider educating others in turn. These special animals face tremendous pressures and need all the help they can get!